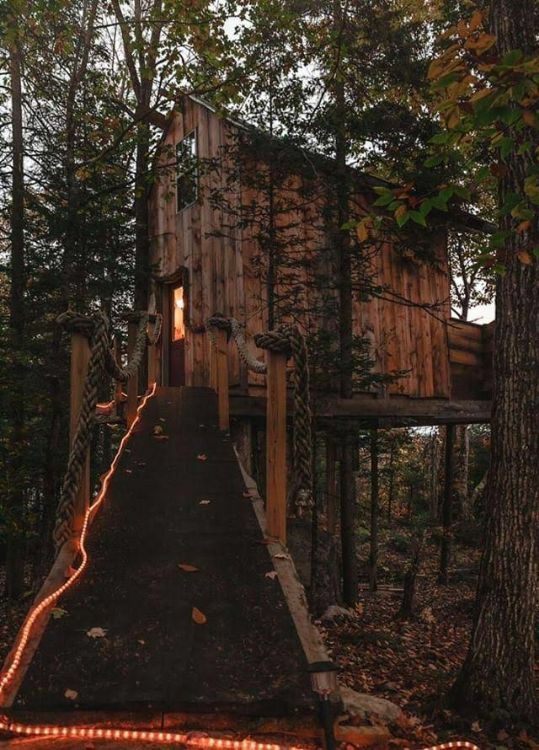 Just like most children, New England based-lifestyle and adventure photographer Ethan Abitz dreamed of living in a tree house when he was a kid. He found the perfect place nestled within the oak trees of Bethlehem, New Hampshire. 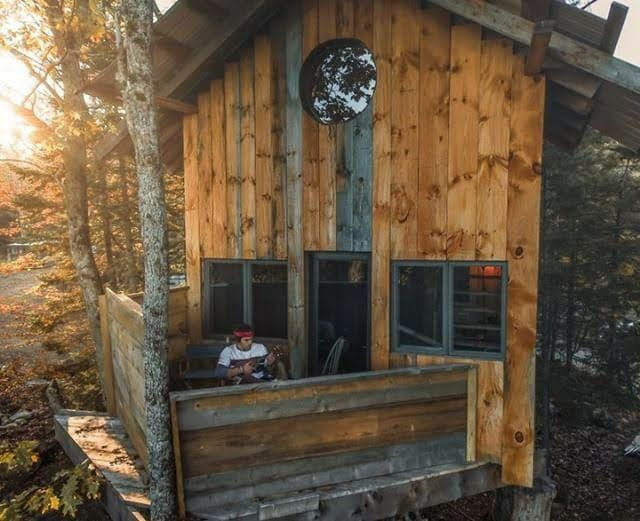 Aptly called the Treehaus, this charming little cabin is located along the Ammonoosuc River. It has great views of Mount Washington and the Presidential Range of the White Mountains. It is equipped with basic amenities such as a bed, a bath and central heating. It also comes with a refrigerator. The use of natural wood as well as mooring rope on the pathway leading to the house adds to the rustic charm of this cozy cabin. His favorite part of the Treehaus is the big round window. “You can see Mount Washington right out of it,” he shared. This spot in the cabin is a relaxing place to enjoy breakfast and read a book. There’s a view of the outside and natural light comes in. On a warm sunny day, Abitz relaxes and communes with nature. He stays outside on the porch and plays his ukulele. Click through for more photos! What is organic architecture? 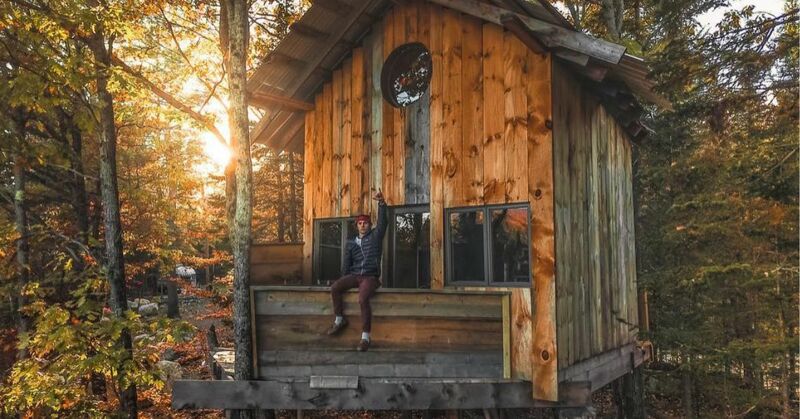 See how one builder, inspired by the concept, created a tiny home that blends in with its surroundings.